This lovely mola eyeglass case is also made by the Kuna Indians Mola Maker on the San Island Kuna Yala, Panama. This exquisite piece is authentic and genuine. 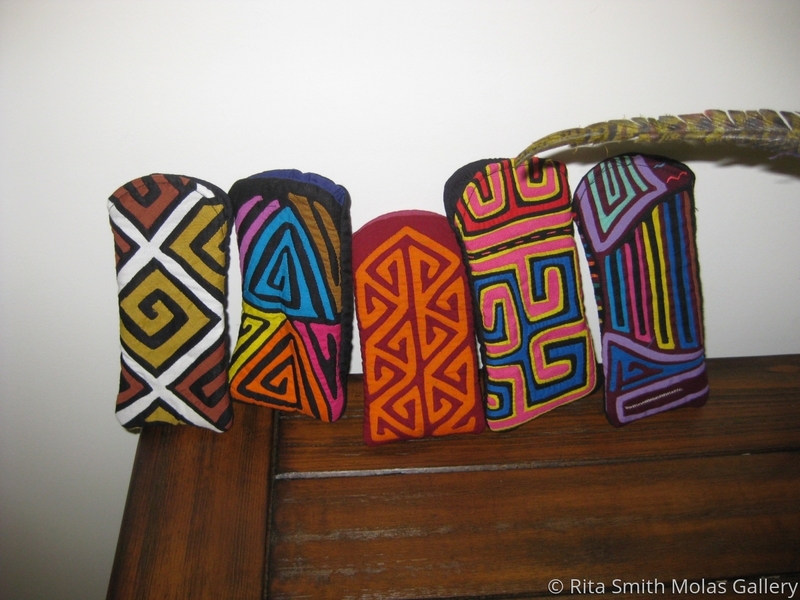 Beautiful Geometric Mola Eyeglass Case in vibrant colors, Fabric Cotton, black background, item is better than actual picture, excellent design, colors, fully lined and padded, Size is 7.5" x 3", very nice and well made, with a free shipping. Molas are unique and the most beautiful hand made art that you will love to treasure forever.